How TREEBO is challenging OYO in hotel industry through its full inventory model? 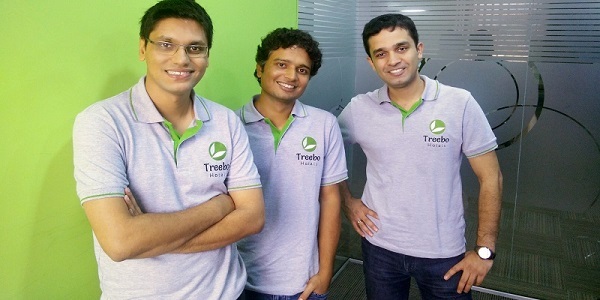 Treebo, initially known as Zipotel, was founded in March 2015 by IIT alumni Sidharth Gupta, Rahul Chaudhary and Kadam Jeet Jain. Both Gupta and Chaudhary were colleagues at McKinsey and Flipkart acquired Myntra. Treebo is India’s first and only start-up in hotel segment which is a franchisee-based budget hotel brand rather than being a hotel aggregator receiving 18-20% of tariff as its share. Bangalore based Treebo uses technology to book hotels and offers superior facilities across its hotels chain like clean linen, bedding, free Wi-Fi etc. the average cost for the room range between $15 to $50. Why we chose Treebo as Startup of the Week? Treebo has its mobile app known as Bumblebee that helps hotels to manage their day-to-day operations. Treebo started out with just four hotel partners in Bangalore, which has now increased to 125 hotels, covering around 3,000 rooms, across 25 cities in India. Its app is a tablet-based property management system, which has cutting edge over the conventional desktop-based systems which are time consuming and limited in their functionality. Treebo raised $17 million in July 2016. Earlier it had raised $6 million in June 2015. Treebo launched a crowd-sourced audit program called ‘Friends of Treebo’ where-in registered members of the community stay at Treebo hotels as its unannounced representatives, and provide feedback to the company about their experience to make changes wherever required. It has more than 68K fan followers on Facebook. Treebo started out with just four hotel partners in Bangalore which has now grown to 125 in numbers with more than 3,000 rooms in 25 Indian cities. With the growing eco-system, Treebo plans to reach to at least 800 hotels till the end of 2017. The company has an average hotel booking cost of Rs 2000 with price ranging between Rs 1,000 – 3,000. The brand is gaining popularity in the budget hotel segment day by day. It currently has a network of 3,000 rooms across 125 hotels, through which it is able to drive around 75% occupancy rate on an average. Treebo works on a full inventory model what makes it unique among the hotel segment. Treebo exclusively works on a franchise style with its partners. The partner hotels of Treebo only use Treebo app to book and manage the bookings. What’s unique in this model is that while other hotel networks allows to list all the hotels on their website and sell partial inventory, Treebo works on full inventory model. The company, which launched its operations in June 2015, raised $17 million in July 2016 in Series B round from Bertelsmann India Investments and other existing partners including SAIF Partners and Matrix Partners. Earlier in June 2015, the company raised $6 million from Matrix Partners India and SAIF Partners. With the funds coming in, the company has increased its footprint across several cities in India and now it has more plans to expand its geographical footprint in India. Treebo works on mainly three major parts: increasing its marketing strategy, expanding footprint to more areas, and enhance its technology board. Currently with 125 hotels in 25 cities, the company aims to expand its franchisee business model to more than 12000 rooms in 500 hotels across 60 cities till mid-2017.